How do I break my product description into two blocks? Sometimes you will want a brief description of your product to appear next to your photography, and still have an in-depth description of the product below the imagery in a full-width format. 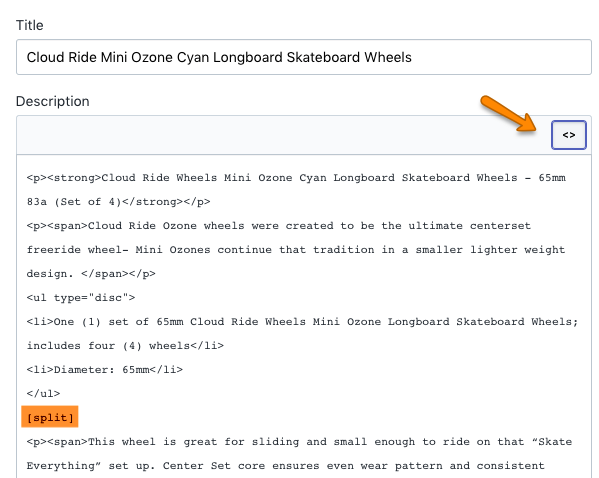 Pipeline makes with possible by allowing you to write [split] inside the product description. Your description will then be split into two sections - one beside the image and the other below. Try to keep all your tab content at the very bottom/end of the product description. 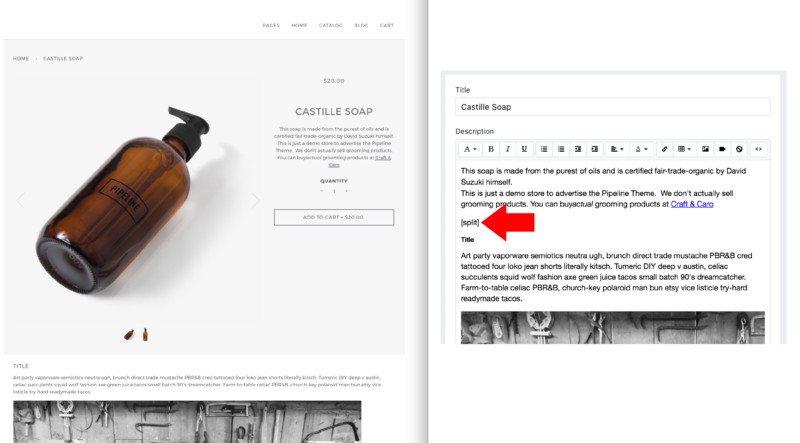 Start with the main product description, add your split tag and then the last portion of your product description which falls under the product images. Then finally add your tabs content. There should be nothing else after your tab content. Use a plain [split] tag after closed paragraphs or closed divs and before any of your tabs. Also remember not to use [split] inside any of your Local tabs.